Tank Mates: Like other Tangs, this member of the Acanthuridae family demonstrates territorial aggression towards its own species, or Tangs in general. Therefore, it is best to keep just one Yellow Tang per aquarium, unless multiple Yellow Tangs are introduced into the system simultaneously. 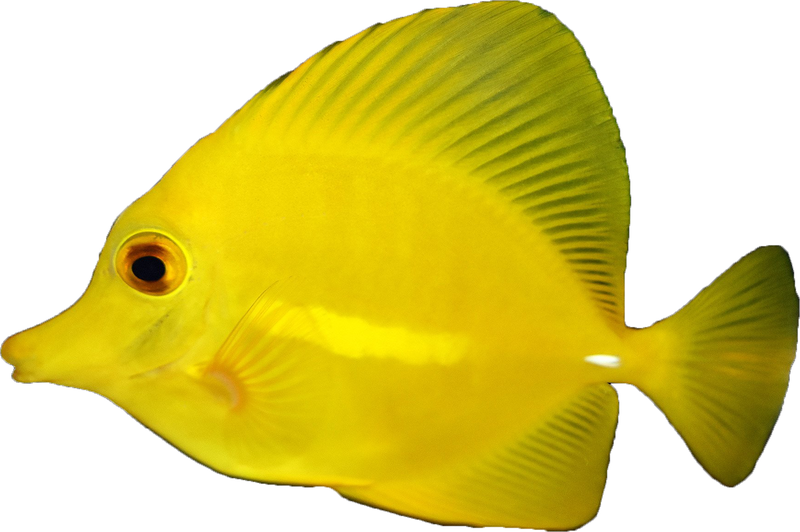 Diet / Foods: Although the Yellow Tang will eat meaty foods along with the other fish in the aquarium, it is important the Yellow Tang is offered plenty of marine based seaweed and algae. This will strengthen its immune system, reduce aggression and improve overall health. This fish can only be shipped Overnight or via Airlines, if you have any questions about shipping please reach out to us and we will be happy to answer any questions you may have. Q: What is the approximate size? Are these Tangs from area around Hawaii? A: Shipped size is normally 2 1/2" to 4". Yes, these are Hawaiian.